Looking to invest money for short-term, but equities are not your cup of tea? You may consider investing in a fixed-income instrument as one from Tata Group's stable has just hit markets. Looking to invest money for short-term, but equities are not your cup of tea? You may consider investing in a fixed-income instrument as one from Tata Group's stable has just hit markets. Tata Capital Financial Services Limited (TCFSL), a wholly-owned subsidiary of Tata Capital and a non-deposit taking Non-Banking Financial Company (NBFC), launched secure and non-secure non-convertible debentures (NCDs) on Monday, offering up to 9.1 per cent interest rates for various time frames. NCDs are debt financial instruments with a fixed tenure. These are issued by companies to raise capital for business purposes. Unlike convertible debentures, NCDs can't be converted into equity shares of the issuing company at a future date. 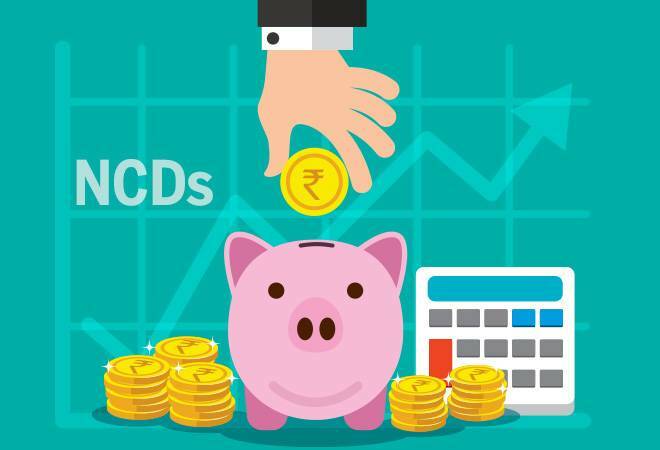 The interest rate on NCDs is higher than traditional instruments such as fixed deposits (FDs) or recurring deposits (RDs) and these are fairly liquid, too, i.e. one can sell their NCDs before maturity in the secondary market. There is no tax deducted at source (TDS) on NCDs, but the interest income on them is taxed as per individual's tax slabs. If you sell it before one-year in the secondary market, a short-term capital gain tax is levied as per your tax slabs, while long-term capital gains tax is imposed at 20 per cent rate with indexation. NCDs are available in three tenures: Three years, five years and ten years, and the coupon interest rates on them are between 8.8 per cent and 9.1 per cent payable every year. The face value of the NCD bond is Rs 1000, and buying minimum 10 bonds are mandatory i.e. you need to invest at least Rs 10,000 and in the multiple of Rs 1000 thereafter. Allocations will be made on first-come, first-served basis with 30 per cent of the issue size reserved for retail category. The cut-off amount of investment to be classified as retail category is Rs 10 lakhs across options of the NCD. Rating agencies Crisil and Care have assigned 'highest degree of safety' rating i.e. AAA rating to the issue. While interest rates are on a higher trajectory, the rates on FDs are still hovering around 7 per cent. That said, secured NCDs with a stable rating could be a better option for short to medium term, but one should avoid investing in them for long-term as these are prone to interest rate risk. When interest rates rise, prices of fixed income securities fall and when interest rates drop, the prices increase. Brokerage ICICI Securities advise subscribing to the Tata Capital NCD as they believe the rates offered are attractive. "Interest rates offered by AAA-rated corporate, have seen a sharp up move with yield on three-year AAA rated bonds rising, from 7.1 per cent in September 2017 to 8.8 per cent in September 2018, a rise of 170 bps in one year. The higher spread between inflation and bond yield is indicating that the current higher yield offered by good rated companies is a good investment opportunity," the brokerage said in a research note.